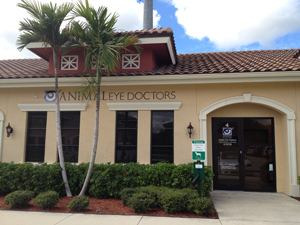 Animal Eye Doctors was established in 2007 in Estero, Florida. In 2007, Dr Warren joined with Dr Dan Wolf of Tampa, Florida, who had been providing veterinary ophthalmology services to southwest Florida on a part time basis, to make the practice into the first full time ophthalmic specialty practice in southwest Florida. The doctors and staff of Animal Eye Doctors are dedicated to providing our clients with advanced techniques in diagnostics, treatment, and patient care relating to eye conditions and diseases. We work closely with the referring veterinarian for the health and total well-being of the pet. Equally important is the delivery of our services with gentle care, compassion, and professionalism to our patients and clients.